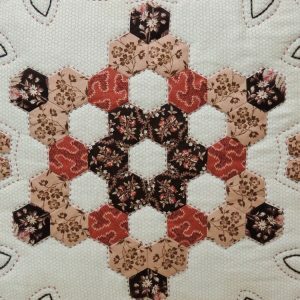 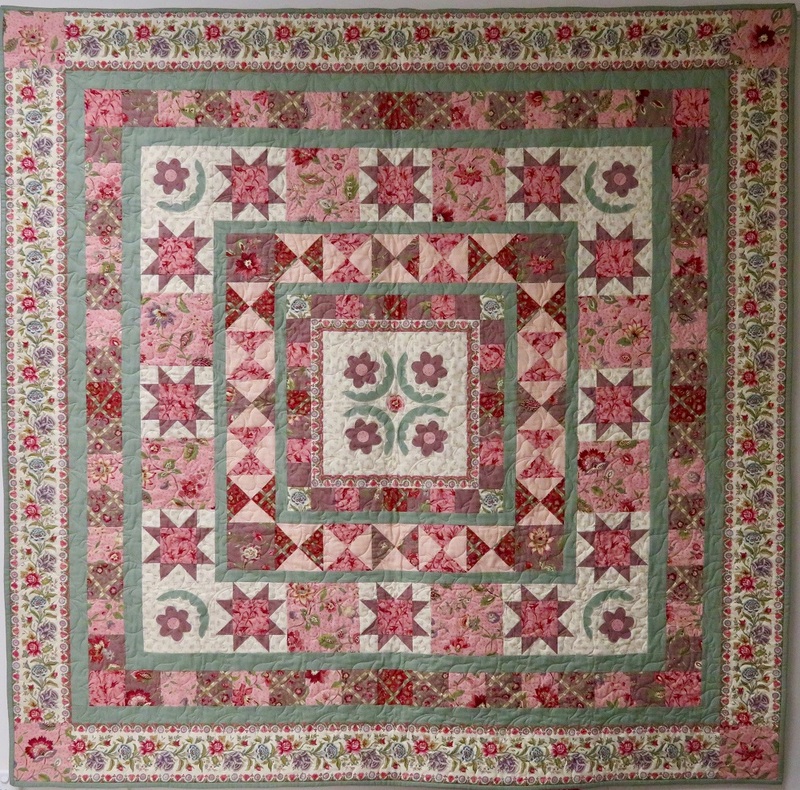 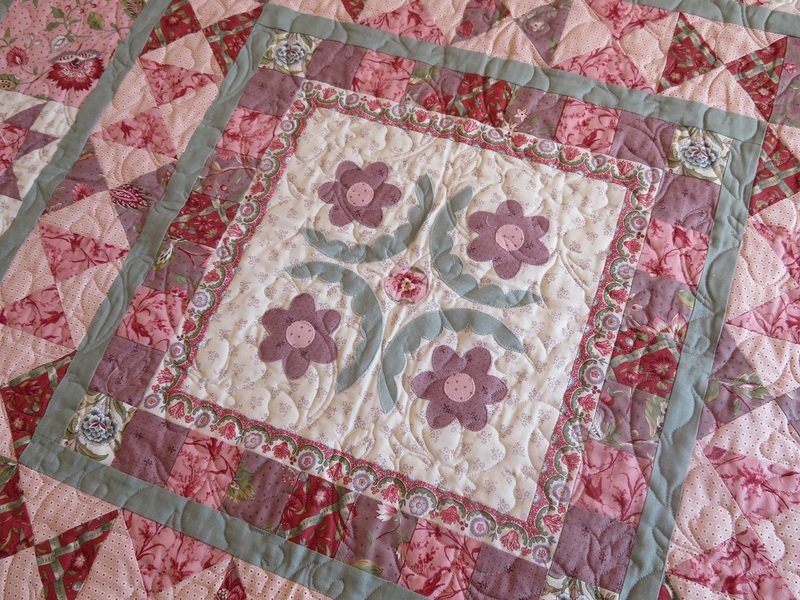 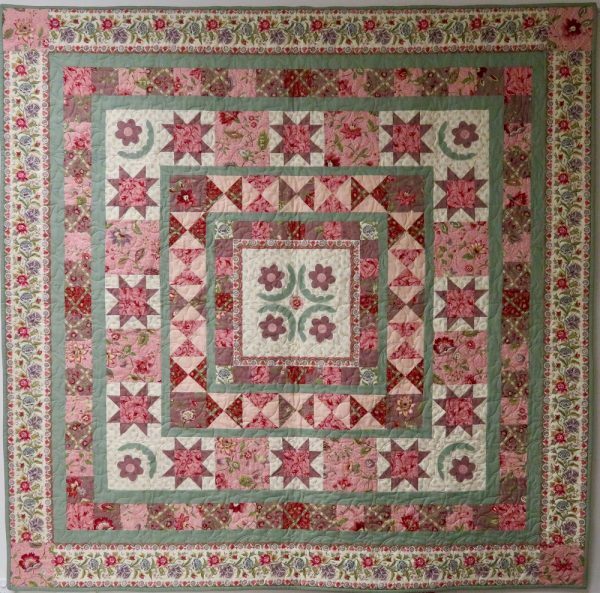 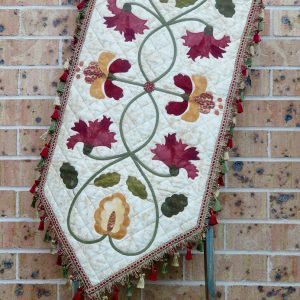 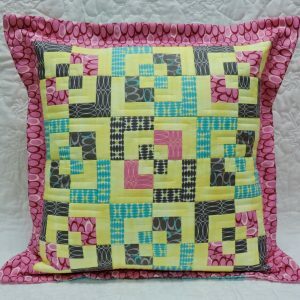 This pretty medallion quilt combines machine piecing with applique embellishments to create a stunning sofa or lap quilt. 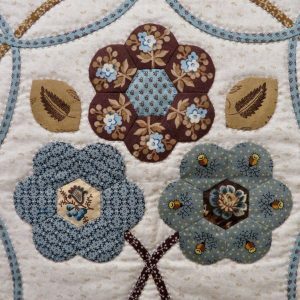 The centre block features applique flowers and leaf scrolls using the fused technique. 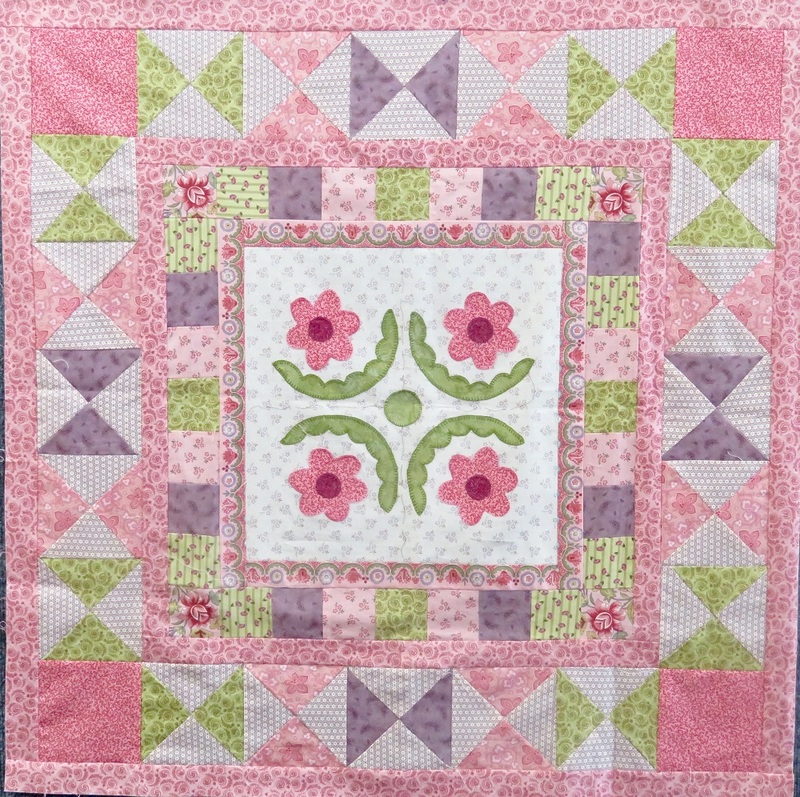 The applique can be completed with your choice of machine applique stitches or hand buttonhole stitch. 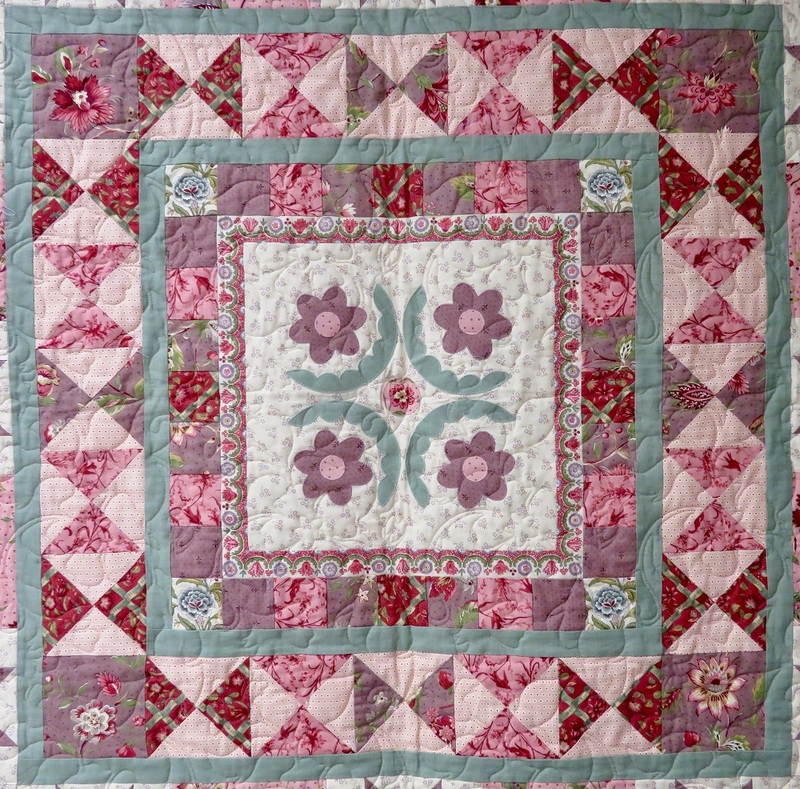 The instructions include comprehensive written notes and diagrams detailing the construction of the centre block plus ten borders of alternating plain sashing strips and pieced checkerboards, hour glass blocks and stars. 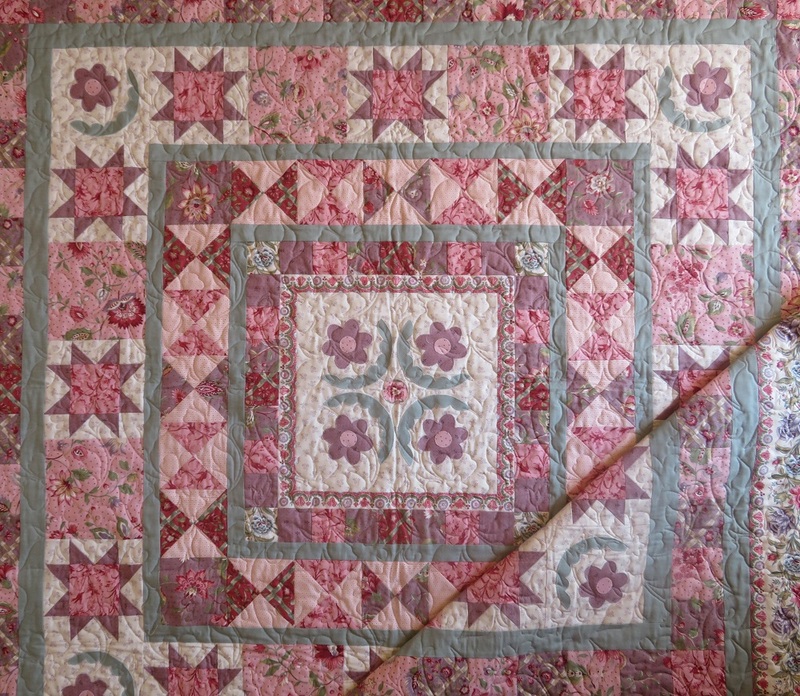 The finished size of the quilt is 64″ square.